The roll out plan for the procurement of 2,000 CNG propelled standard non-AC buses, 1,000 each for DTC and Cluster Scheme, has been finalised by the Transport department, an official statement said. 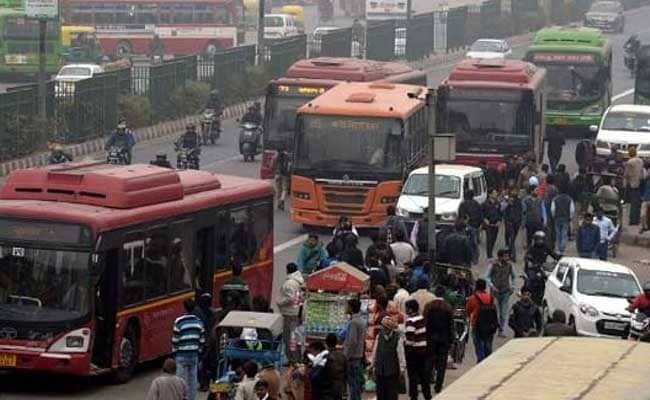 New Delhi: Censured by the Supreme Court-mandated Environment Pollution Control Authority or EPCA for having done "too little" to augment the city's public transport, the Delhi government today announced that 2,000 new CNG buses will be rolled out in next one year. "For the procurement of 1,000 Cluster buses, the Notice Inviting Tender (NIT) is likely to be issued by November 30, 2017, and the department has been directed to complete the rollout of these buses within 10 months," said the statement issued by Transport minister Kailash Gahlot. The Delhi Transport Corporation (DTC) has already published the expression of interest for appointment of a bid management consultant. "Following the appointment of bid management consultant, the tender for procurement of 1,000 DTC buses will be issued. The target is to rollout these buses within a year," the statement added. Environment Pollution Control Authority (EPCA) chairman Bhure Lal in a letter to Mr Gahlot stated that the Delhi government has adequate land to park up to 2,000 buses and charged that no buses have been procured yet. "In our May 2016 report, after working with the Delhi Development Authority (DDA), we had explained that there was land available for parking of 2,000 buses within the available infrastructure. However, we find that as yet, no buses have been procured," Mr Lal wrote. Mr Gahlot in his letter to Mr Lal, on Wednesday, had charged that the EPCA "kept quiet" over obligations of the National Capital Region (NCR) cities to combat pollution while the Delhi government was criticised for "flip-flopping" over the odd-even road rationing scheme.